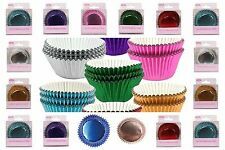 100Pcs Paper Cake Cupcake Baking Muffin Box Cup Case Party Tray Cake Mold Decor. Item type: cupcake box. 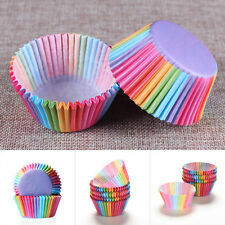 100pcs and rainbow color is fashion and attractive. Quantity: 100pcs. Suitable for cake making, cake DIY. Easy to clean: the muffin molds are non-stick, spotless and odorless, these feature ensure very easy to clean. Multifunctional: Great for cooking eggs, baking muffins, cupcakes, and you also can use it as egg tart mold, chocolate mold, pudding mold, jelly mold, ice mold and so on. Multi Purpose Hand Scrubbing Brush with Handle Ideal For Floors Bath Tub F. 3D Silicone Dog Shape Cake Soap Chocolate Jelly Candy Mold Baking Mould FG. Biscuit Sweet Bag Self-Adhesive Cello Gift Foodie Monster Seal Treat Bag Xmas FG. Can be used for cupcake, muffin, pizza, bread, ice, cake, cookie, chocolate, jelly, muffin or pudding. 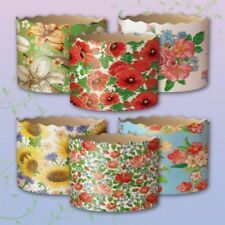 12 x Baking Cup Molds. Material: Platinum Silicone. As the custom fees and policy are different in different countries, you'd better check it your custom office. Material:Greaseproof paper. Perfect for putting cake,biscuit,candy, dessert ,cookie ,fruit etc. Material: Silicone. We will do our best for you! No chating,only fair trading.Trust us ! and you will get more. 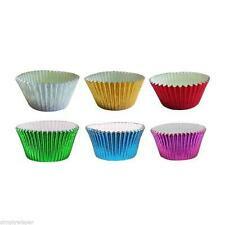 Silicone Muffin and Cupcake Moulds - 2 green, 1 red, 1 orange & 1 blue. The molds are made of the highest quality silicone, which is non-stick, hygienic, very durable and comfortable to use. Perfect for anyone who loves baking. Lovely and generous, very practical Oh! To do a small cake, muffin, also do the chocolate at the bottom of the receptacle to use! 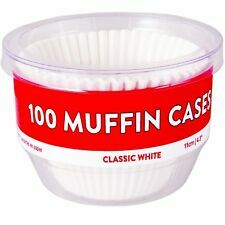 1 100pcs Baking Cupcake Cases. directly grilled, convenient the easy way. 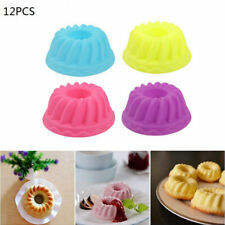 1 pcs Cake Mold. Material: food-grade silicone. hope understand. 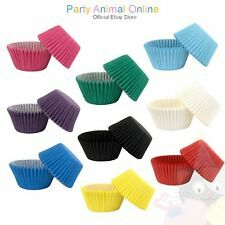 100pcs Cupcake /poly boxs. Color:send at random. 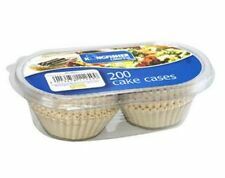 Suit for oven, microwave, freezer, dishwasher Can be used for cupcake, muffin, pizza, bread, ice, cake, cookie, chocolate, jelly, muffin or pudding. Use and clean easily. Color: (Color Random). Due to the light and screen difference, the item's color may be slightly different from the pictures. Perfect for baking cake,biscuit,cookie,ect. Also great for holding candies, nuts and other party snacks. Disposable cake baking mold, which eliminates the trouble of cleaning the mold, lovely and generous, very practical. Silicone Sippy Cup Lids - Spill Proof Trainer Learner Bottle Glass Sip Toddler. Black Car Garbage Bag Rack Sucker Trash Bag Hanger Removable Car Trash Bin LH. Wall Mounted Under Shelf Cabinet Kitchen Roll Holder Paper Towel Dispenser LH. Hope you can understanding, will be sincerely appreciated. Material: Paper. Color: as picture. Item number Rate (item arrived). Canada Rate (item arrived) 0.0% 47.1% 31.4% 17.6% 3.9%. These bold and exciting baking cups will make your treats the center of attention. The fun design is perfect for any occasion and great for themed celebrations. 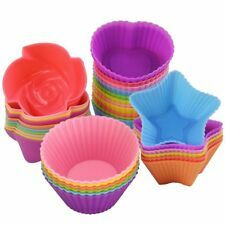 Use these colorful fluted paper baking cups for lining cavities of muffin pans, making festive cupcakes, presenting party snacks and more. Mini size, 1.25 Inch diameter. Pack of 150. New Silicone 160 Cavity Mini Square Ice Cube Tray Maker Mold Party Drink Mould L. New Jar Opener Under Kitchen Cabinet Counter Top Lid Remover Arthritis 6A. Kids&Teens Elbow Knee Wrist Protective Guard Safety Gear Pads Skate Bike 6A. Our small round baking dishes are a wonderful choice for the making of pies, tarts, cobblers, personal-sized cakes and so much more. Disposable round aluminum foil tart pans，safe and convenient. They are made out of 100% aluminum foil, ensuring that they will uphold baking and distribution. Color : As picture. Rate (item arrived). Canada Rate (item arrived) 0.0% 47.1% 31.4% 17.6% 3.9%. United States. Item No :417889. Length width height: 22.5 11.3 5.6cm. Size approx Material : Aluminum Alloy. If you're making mini loaves to go in a gift basket or for a brunch you'd do well to consider these baking cups. Release will be smoother, presentation will be prettier, and clean up will be faster.